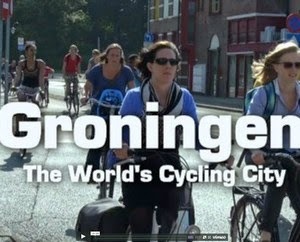 A video about Groningen, a Dutch city with a population of 190,000 and a bike mode share of 50 percent, where cycling is easier and more natural than any other city in the world. The sheer number of people riding at any one time will astound you, as will the absence of automobiles in the city center, where cars seem extinct. It is remarkable just how quiet the city is. > Vimeo: Jarrett Walker Presentation "Abundant Access"
> See the access and urban freedom category. A TED talk on how Bogota was transformed with infrastructure for buses, cycling and pedestrians and the huge opportunity for emerging cities to take this path. 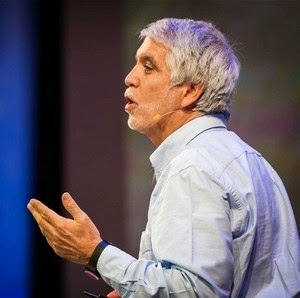 Greg Foyster used to be an ad man, until a chance viewing of An Inconvenient Truth opened his eyes to the effect his profession was having on humanity, and the planet in general. 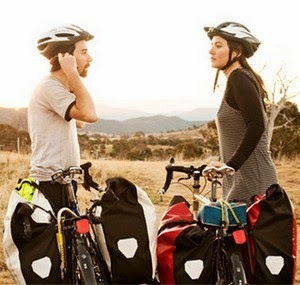 He abandoned advertising and wanton consumerism, and hit the road with his girlfriend Sophie on a cycling trip from Melbourne to Cairns, visiting others who’ve decided to live simply along the way. 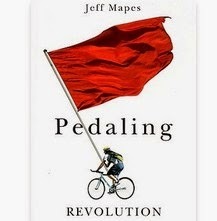 Jeff Mapes explores the growing urban bike culture that is changing the look and feel of cities across the U.S. Mapes, a seasoned political journalist and long-time bike commuter, explores the growth of bicycle advocacy while covering such issues as the environmental, safety, and health aspects of bicycling for short urban trips. 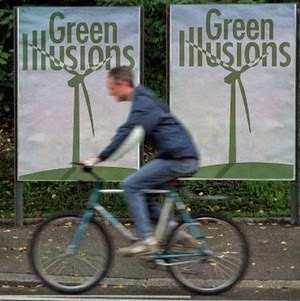 "'Alternative energy is not a free ride, just a different ride and there's no reason to believe it will offset fossil fuel use in a society that has high levels of consumption and is growing exponentially.' Put another way, renewable energy only makes sense if undertaken in concert with other, more fundamental changes in the way we deploy and make use of energy in our everyday lives. At the moment, we're really paying attention to the technology end of things, Zehner argues, and without a holistic approach, these innovations get us nowhere." 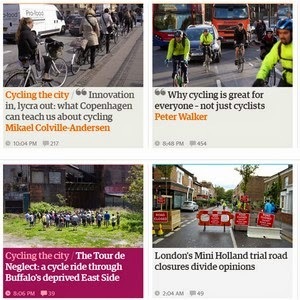 The Guardian Bike Blog has a regular stream of articles about the urban cycling in the U.K, U.S. and Australia. Article: Dude, Where's Your Car? "Greenberg is just the most recent film in which a character's non-automobility—whether for lack of a car or for lack of the ability to drive—is used for comic effect, whether as a metaphor for a deeper personality flaw or as a token of marginality and/or plain creepiness. As the humorist Art Buchwald once observed, 'People are broad-minded. They'll accept the fact that a person can be an alcoholic, a dope fiend, a wife beater and even a newspaperman, but if a man doesn't drive, there's something wrong with him.'" 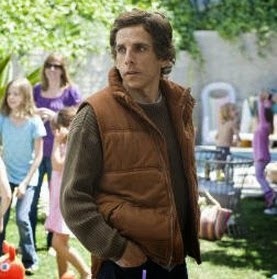 Link: Slate: Dude, Where's Your Car? 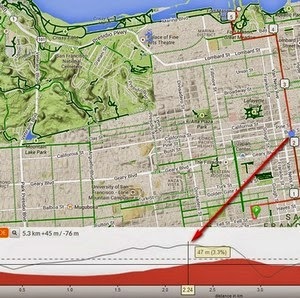 (a) The ability to have both the Google Terrain and Bicycling layers turned on at the same time. (b) The ability to see gradient information for climbs as well as elevation. The gradient makes the biggest difference as to how difficult the hills are on a route. 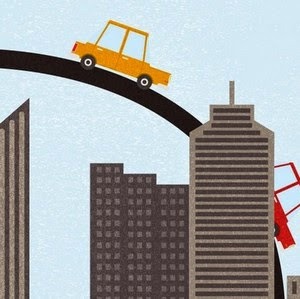 Jonathan Geeting writes for Next City about the road to a future of driverless cars, dense streets and supreme mobility. Article: Why don’t we do it in the road? Web App: Is It Better to Rent or Buy? Opinion: Is It O.K. to Kill Cyclists? Long Read: Why don't Americans walk more?